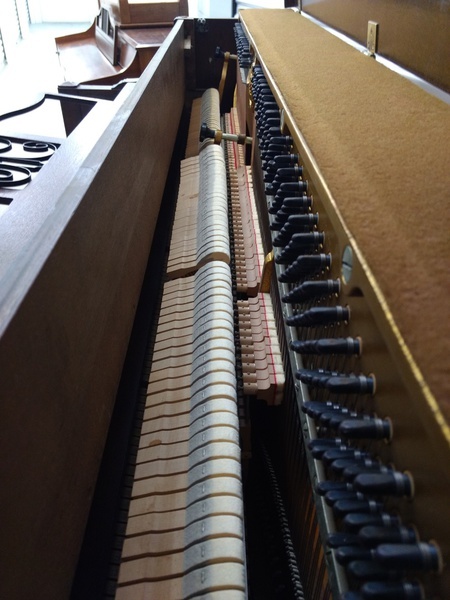 3/27/2018 - This piano has been fully gone over and is playing beautifully. 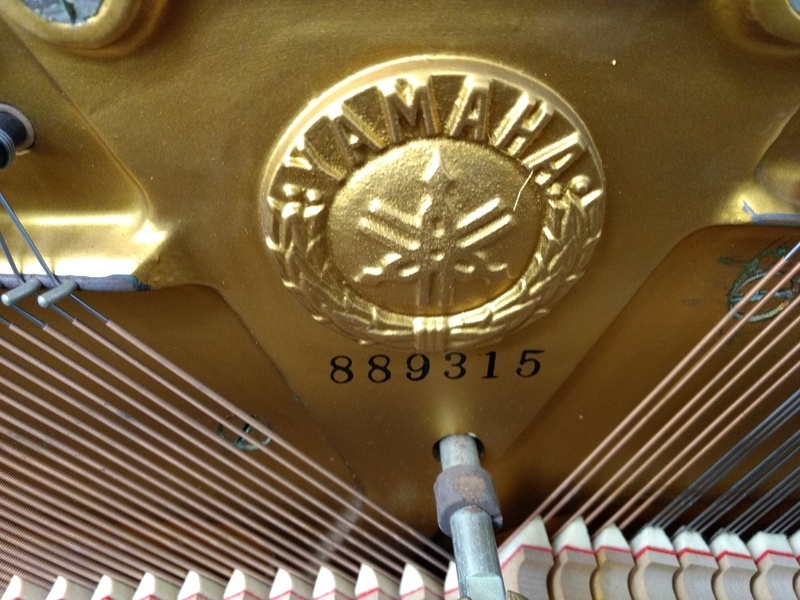 We replaced the hammer flanges, shaped the hammers, did some regulation and pulled it to pitch. 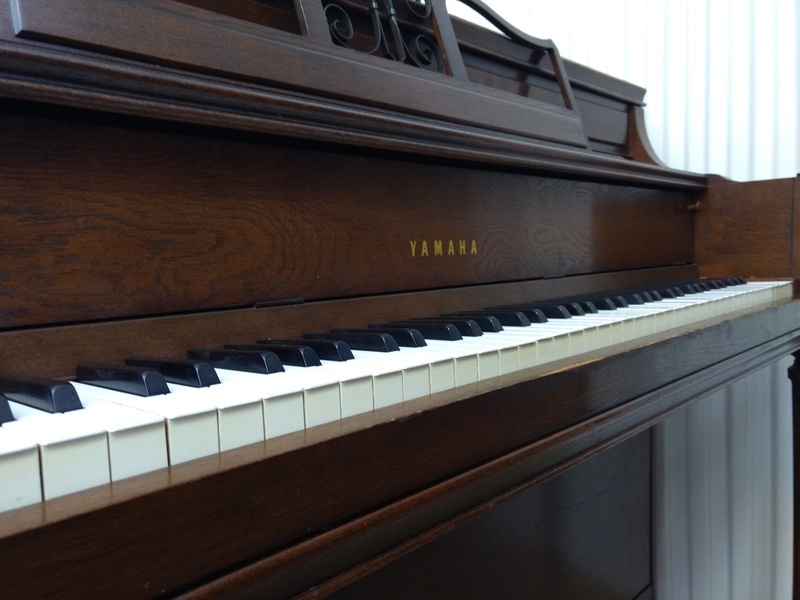 It is ready for a new home and will provide you with years of enjoyable playing. 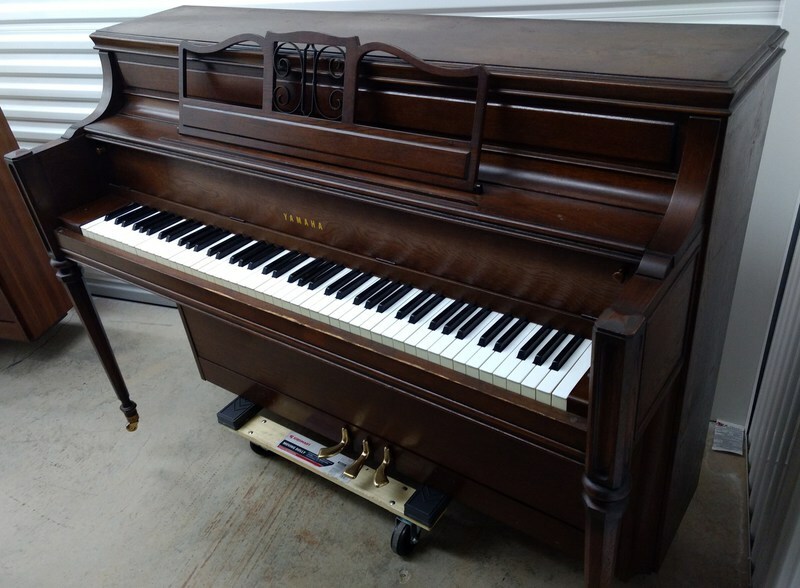 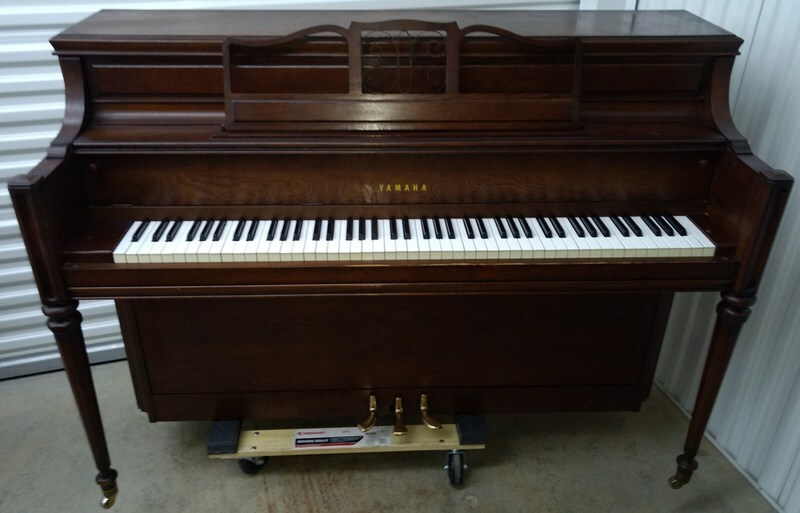 The original bench was chewed up pretty bad so we are including a brand new bench that will be assembled when this piano is rented or purchased.